If you’re a business owner or independent contractor, you’ve probably dealt with clients who fail to remunerate you in a timely manner. It can be awkward. Of course, you’d like your late-paying client to expedite the payment you’ve earned. On the other hand, you don’t want to alienate someone who might otherwise have been inclined to retain your services again in the future, and perhaps tell h/er friends and associates how exemplary your work was. How can you encourage clients to make timelier payments without sounding overly pushy, souring a professional relationship, and potentially undermining your reputation? Agree in advance on a payments system that is convenient for the client. You’ll probably find that different clients have their own preferences with respect to payment methods. Some may favour writing cheques, others may be more comfortable with PayPal, bank transfers, credit card, or even in-person cash transactions. Set up accounts with multiple secure payment processing services and through your bank. If the client can choose among several payment options, s/he is likely to find one that is convenient for h/er. Expect to receive payments late, and plan ahead. As a general rule, you shouldn’t depend on timely payments from invoiced clients. Instead, try to keep a fairly robust cash reserve on hand to cover your own short- and medium-term expenses. Although you want to encourage all clients to pay on time, realistically you’ll almost certainly encounter laggards here and there. One way to compensate for this is to request payment on a date well in advance of the time when you actually need the money—if possible, leave a margin of at least ten days. Remember: you’re unlikely to suffer significantly negative consequences from being paid earlier than you expected. Be clear and specific about when you expect to be compensated. The clearer and more comprehensible the instructions, the less of an excuse the client has for failing to follow them. No one enjoys wasting money, and by offering your client a slight discount for early payment, you introduce a direct economic incentive in favour of timelier compensation. Even a discount of one or two percent can provide your client sufficient impetus to get the ball rolling sooner. Alternatively, you could institute a penalty of one or two percent for late payment. 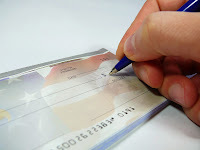 If a week or more has passed since the deadline you originally established for payment, it’s reasonable to send the lagging client a gentle reminder, indicating that you would appreciate being compensated for your work as soon as reasonably possible. Withholding of services is a drastic, but sometimes necessary, step. You won’t need to resort to withholding services in the vast majority of cases. However, you may encounter a handful of situations in your career where there is simply no reasonable alternative. Your client has failed to pay up despite numerous polite reminders, and you need to draw a line in the sand. Your skills have value in the marketplace, you can’t afford to work for free, and you don’t want to garner a reputation for being overly lax on clients who refuse to keep their end of the bargain.